Currently, two truck manufacturing titans- Ford and Ram- are locked in a bitter battle over who should hold the title for best in class towing. In fact, things have gotten so bad that Ford is threatening to sue Ram if it continues to advertise its trucks as the title holder. Ram, however, is standing firm to their claim, saying that Ford has been cheating the system. The battle primarily hinges on the competition of two “Class 3” trucks: the Ford 450 4×4 Crew Cab (hauls 31,200 pounds) and the Ram 3500 (hauls 30,000 pounds). According to Ram, the Ford 450 exceeds the 14,000 pound weight limit required of Class 3 vehicles. And this could be partially true, depending on what criteria you take into account. As reported by Automotive News, Ford makes the 14,000 pound limit only when removing 154 pounds worth of items, including the radio, spare tire, tire jack, and center console. Ford believes this to be okay because these items can in fact be deleted from a customer’s truck order. If the Ford F-450 was considered a class 4 vehicle, it would become the only class 4 pickup offered by a major manufacturer. It appears that both Ford and Ram are unwilling to budge on the issue, and both seem willing to fight the battle out in court. 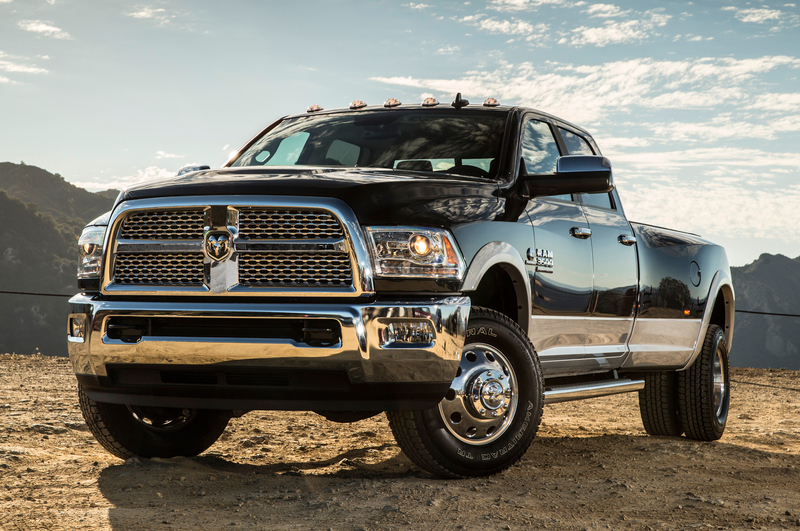 “Our best-in-class claim of 30,000 pounds of towing capacity for the 2014 Ram 3500 stands firm in the 350/3500 segment,” says Ram in a written statement to Autoblog. This entry was posted in Culture and tagged best in class, ford, ford f-450, lawsuit, ram, ram 3500, towing. Bookmark the permalink.